Recently, whilst I should have been getting on more important things in life, I've been watching an awful lot of The Sooty Show. And you know what I've realised? Yes, I really should get round to renewing my car tax instead of reacquainting myself with a mute bear from the blessed years of my childhood. 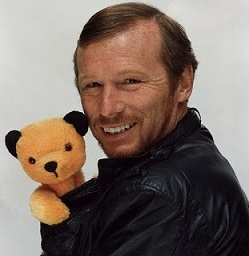 However, more importantly, I've also realised that Matthew Corbett is one of the finest actors to ever grace the TV screens of Great Britain. And, if you don't believe me, why don't you take a look at the wide variety of facial expressions and guises below that he can conjure up to underline his acting prowess. Not every British TV comedy show can rack up 51 series (and counting) as demonstrated by Have I Got News for You and it's highly unlikely that many others will manage to better the 37 year lifespan of Last of the Summer Wine. In fact, many comedy TV shows bow out after one series, but just because they're not prolific, it doesn't mean these short run British comedies don't have a story to tell. And, sometimes, these stories can be as tragic as a star actor dying during filming, controversy splashed all over the airwaves about the shows content or, maybe, a show which didn't quite click was actually conceived by writers and actors who would go on to be megastars. Also, you can't discount the possibility that some shows are either criminally overlooked or the creative teams simply want to move onto a new challenge. I've decided to take a look at 25 curious British TV comedies that only had one series to see what intriguing stories lay behind some of these (hopefully) laugh filled comedic gems. I can't think of a more fun and welcoming subject at school than drama. It was the one lesson a week where you were guaranteed no homework, no discussion of the intricacies of French nouns, no breathless exercise, but you were promised more fun than you could shake a stick at - this is why no one ever skipped drama. Now, I'm not trying to reduce drama teachers to mere purveyors of frivolity. Far from it in fact, as drama is a crucial area of education which breeds confidence and allows children to express themselves through a wide range of methods. In fact, drama was always the one lesson at school where even the particularly shy kid who smelt of mothballs (there was always one in every year) got their moment to shine and garner a rare applause from their peers. And this is why the idea of a TV show which embraced this rich vein of enthusiasm and expression made so much sense that we got The Wall Game. The 1980s are synonymous with many things, but, once you get past Thatcher, AIDS hysteria and George Michael's fax machine, you soon find yourself examining the fashions. And, Adidas trainers aside, it was a pretty horrendous time for wrapping yourself up in the fabrics which defined the decade. 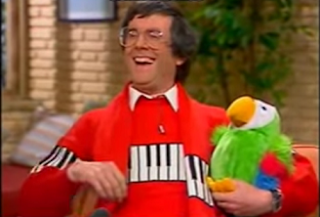 Few families can boast a photo album from the 1980s which doesn't include a collection of abysmal tracksuits, stonewash jeans and, more importantly, jumpers which are so unbelievably dull or just downright grotesque that they feel like a vulgar attack on our digestive systems. 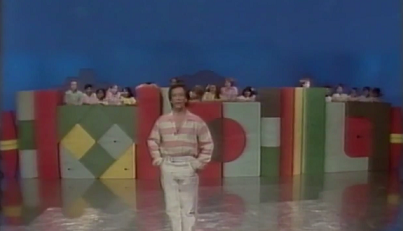 However, at the time, these disgusting, woolly manifestations of bad taste were beloved by millions. 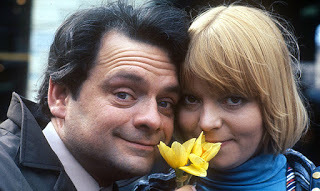 And, in particular, they were adored by people appearing on British TV. Now, maybe I'm just feeling particularly sadistic or perhaps I feel that maybe, beneath all this hideousness, there's actually a hint of style and elan that I could appropriate for the modern age. 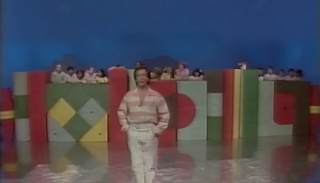 Either way, it's time to take a look at 22 of the most hideous jumpers on British TV in the 80s!